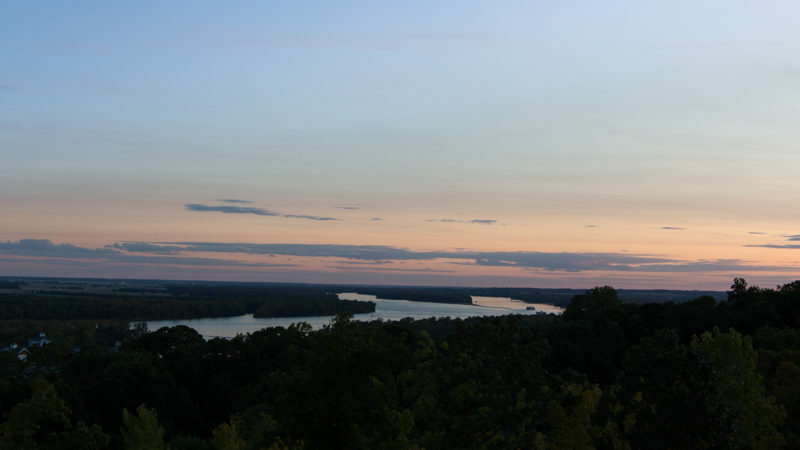 We left St. Charles, Missouri on Sep. 7th. After driving 11-12 hours we stopped at a Walmart in Colby, KS. While Walmart is not our favorite spot to spend a night, we found this one to be very convenient. We needed to get some grocery shopping done and there was a decent restaurant down the street. The following morning we were back on I-70 by 7:15am. The trip was uneventful, even through Denver. It was a nice drive from Denver to Glenwood Springs. The RV did great on the steep mountain roads. We arrived at the Glenwood Canyon Resort early in the afternoon. We had a great back-in site. It was roomy and set against a mountain backdrop. After parking we headed into the town of Glenwood Springs. Unfortunately, the bridge into the town was closed due to major reconstruction. This led to a traffic nightmare. We found ourselves taking an hour to go about a mile. We got what we needed at the hardware store and returned to the RV without exploring Glenwood Springs. The campground we stayed at offered cabins for rent and unfortunately, it appeared that a large group of young locals decided to spend the weekend in them. About half a dozen of them were stone drunk, loud and obnoxious throughout most of the night, walking up and down the campground street in front of our RV. It was the first time we had ever had an issue like this. 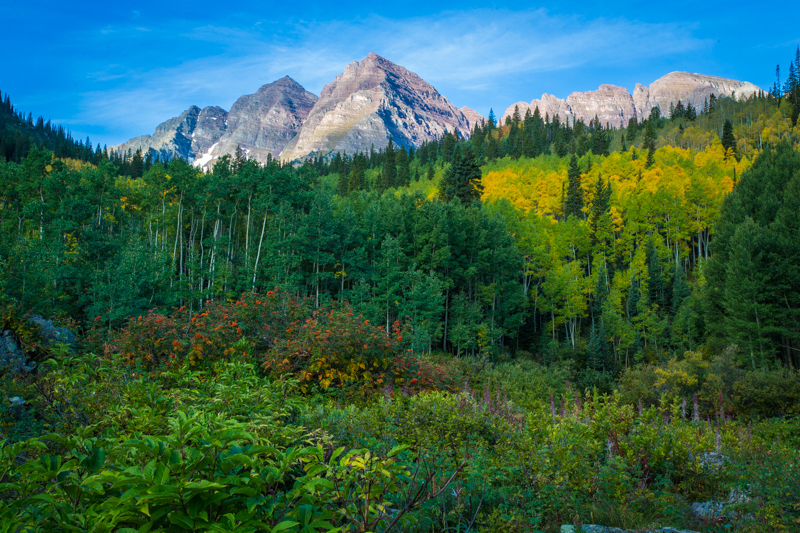 Early the next morning we left the RV and took the Jeep to Aspen with the goal of photographing Maroon Bells. 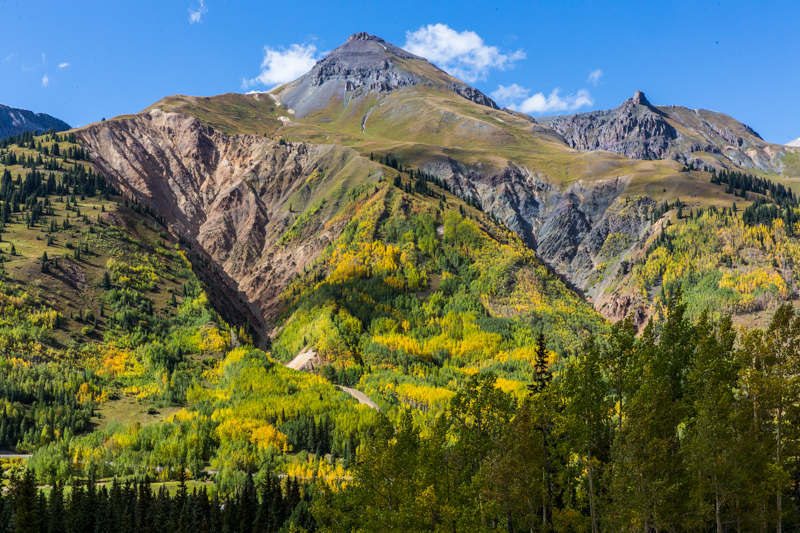 These mountains, Maroon Peak and North Maroon Peak, are touted as the most photographed in Colorado. 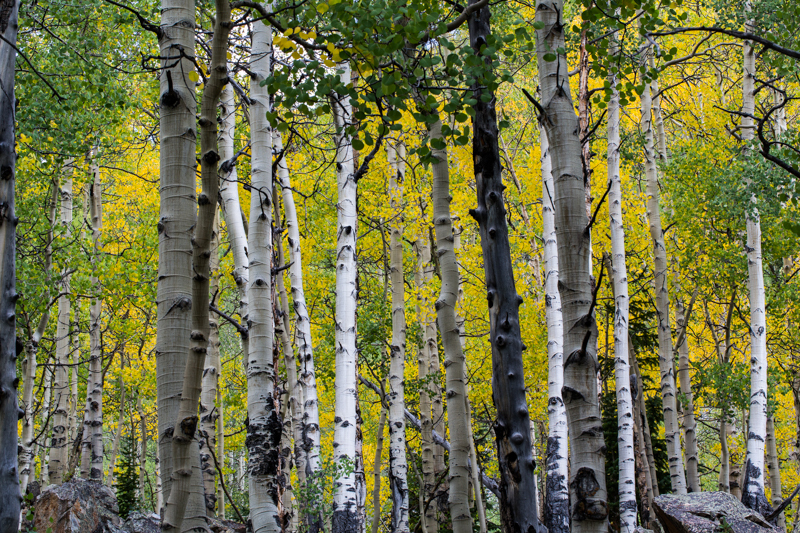 We had breakfast in Aspen and then headed to the Bells, on a reconnaissance mission. I didn’t want to have the next morning be our first visit to the park, as it would be pitch black and we wouldn’t know where the best spot would be for taking the picture. We took in the spectacular scenery and then took a hike up to Crater Lake. It was a challenging 3.5 mile round-trip hike. We started at an altitude of around 9,400 ft and walked up another 750 ft. Since it was our first full day at the high altitude I often struggled to catch my breath on the hike. The water level in Crater Lake was low and the scenery was anticlimactic after seeing the Bells. It was good to get some exercise in though after so many days of driving. After hiking we strolled through downtown Aspen. We found ourselves in the middle of a Mac & Cheese festival. We enjoyed sampling each and every kind! In the evening, we checked into the Snowmass Village Westin for the night. As we drove into Snowmass we came upon a very large buck strolling along in the middle of the road. The next morning we came across another buck in the road, and a fox. It was very nice to see the wildlife, and glad we were able to avoid a collision with them. The weather was cold and rainy when we turned in for the night. 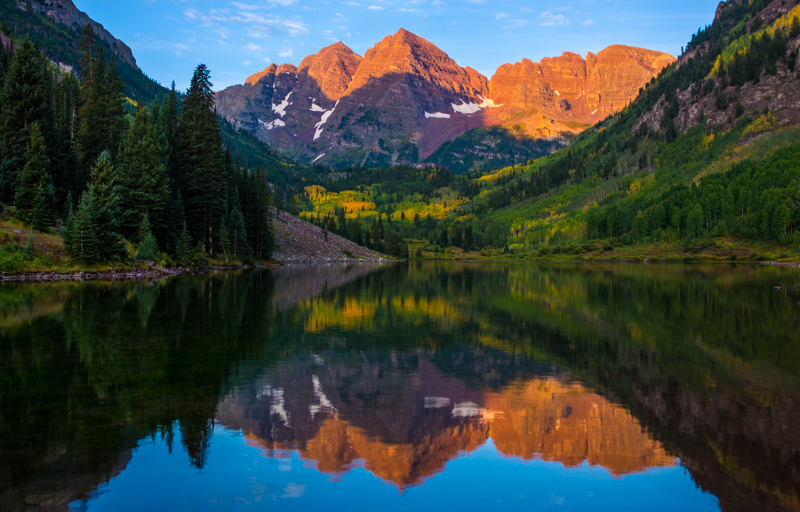 I was afraid that sunrise would not be as I had hoped at Maroon Bells. However, when I looked out the window at 4:45 am the next day I was pleasantly surprised to see a clear sky. We quickly packed up and headed to the Bells where I captured the picture below. 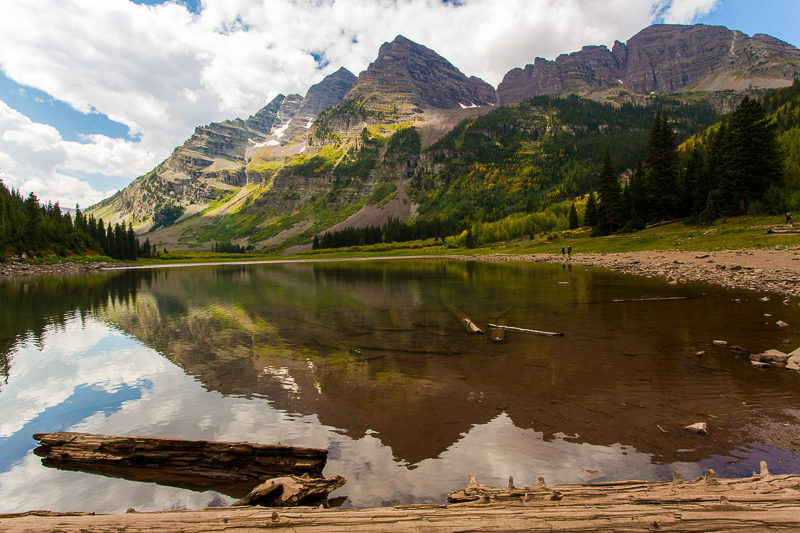 After photographing Maroon Bells we hiked the short 1.5 mile Scenic Loop. It was an enjoyable and pretty walk. We then headed back to Glenwood Springs to pick up the RV and continue our journey. Our next destination was Ouray, CO (prounced you-ray), where we spent a week. 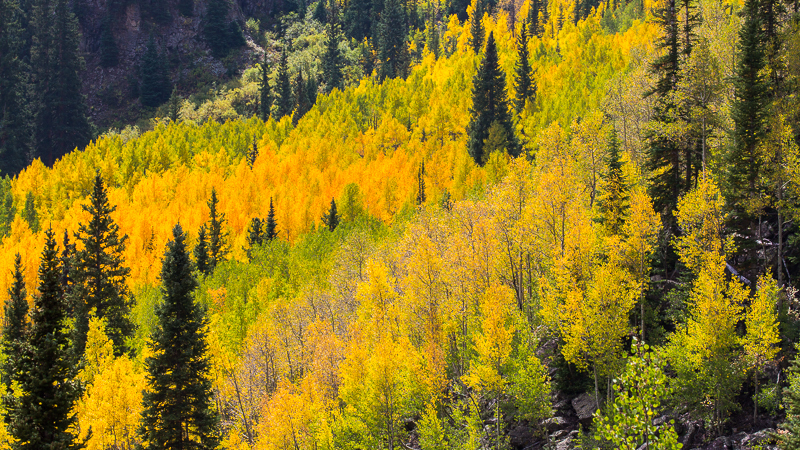 We arrived at the Ouray RV Campground on Sep. 10th. 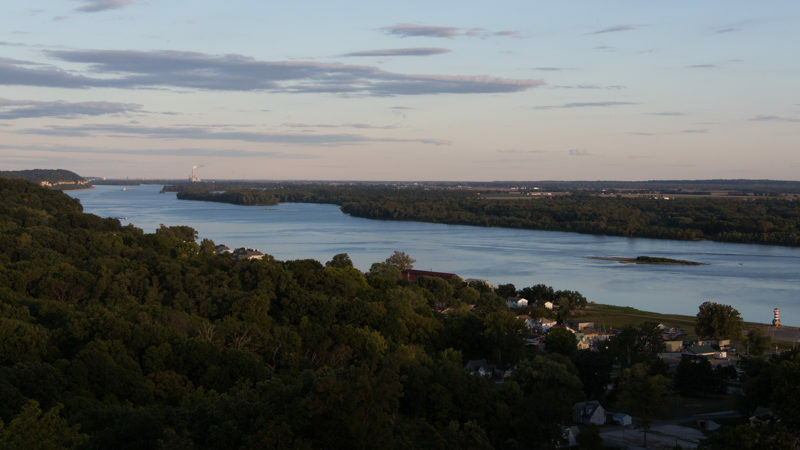 The park is very nice, located right on the river and within walking distance to the quaint downtown district. They also have a small restaurant offering breakfast and dinner most days. We would definitely stay there again. During our stay in Ouray we rented a Jeep Wrangler, from Colorado West Jeeps, for a couple of days. We began our off-road adventure on Corkscrew Gulch, and then merged onto California Gulch, over Hurricane pass, onto California Pass and then California Gulch. 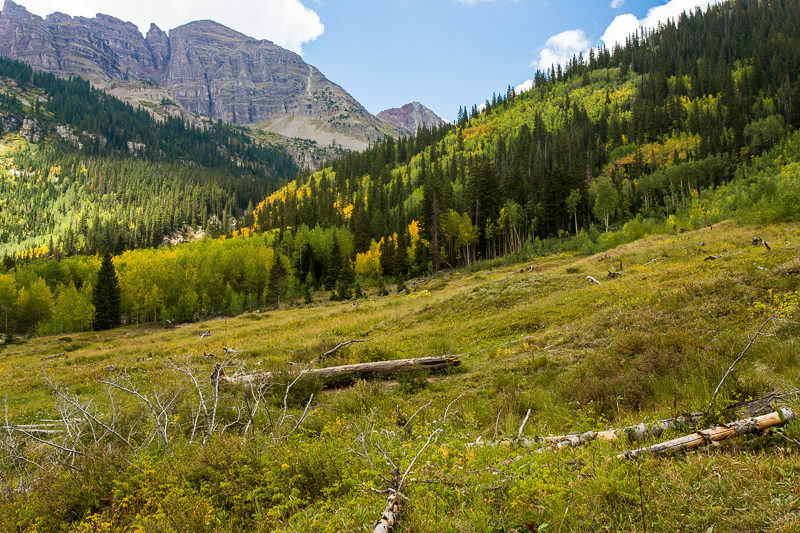 We also did part of the Alpine Loop, Ophir Pass and the Alta Lakes Trail. We had a great time and thoroughly enjoyed exploring the area this way. 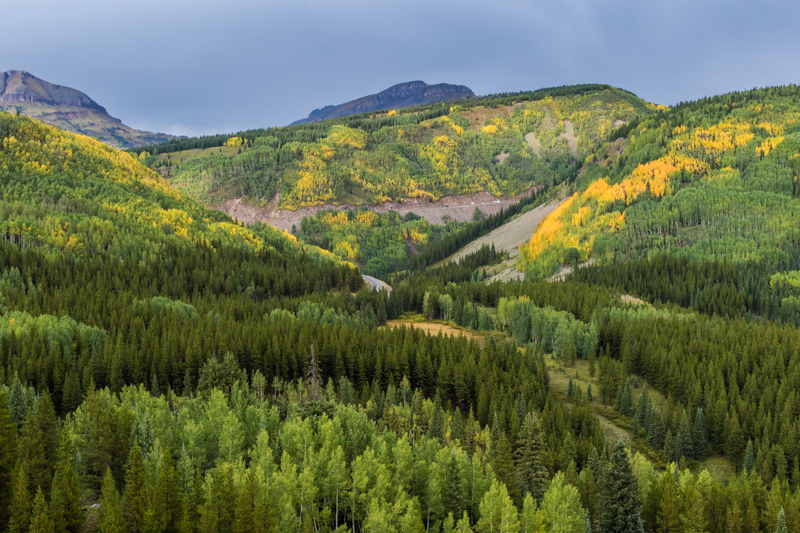 The next day we took the Last Dollar Trail from CO-62 to Telluride and the Imogene Trail from Telluride to Ouray. The Imogene trail was the most aggressive, and a lot of fun. The scenery in the backcountry is spectacular. You are able to explore old mining towns and get a feel for how life might have been for the early Westerners, back in the late 1800s. We enjoyed an afternoon walk around Silverton with lunch at Handlebars, a well-known Western Saloon. We then took a scenic drive on some of the back roads around the town. I’d highly recommend a visit to Silverton for acquiring a feel of the old West, although Ouray does a very good job of that as well. 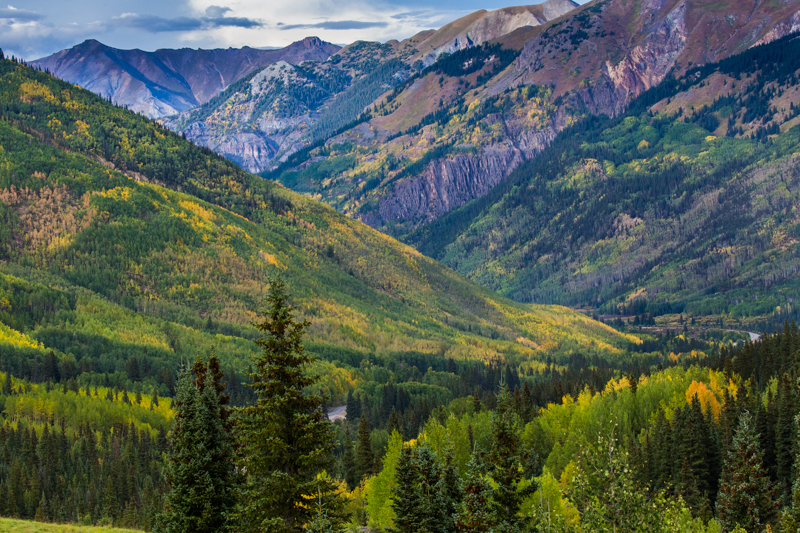 Our drive along the Million Dollar Highway, from Ouray to Durango, was very enjoyable. It is a fun, and scenic drive. In Durango we strolled around the old town area and visited the Train Museum. The Train Museum was very interesting and a highlight of our visit to Durango. On our return to Ouray we stopped by Honeyville, a honey specialty store that has been around since 1918. We sampled, and purchased, some good honey! Right down the street from Honeyville we found a ranch selling produce, meats and cheeses. We stopped in and purchased Filet Mignons, Hamburgers and Cheese. Since then we have eaten all of them and all were excellent!! 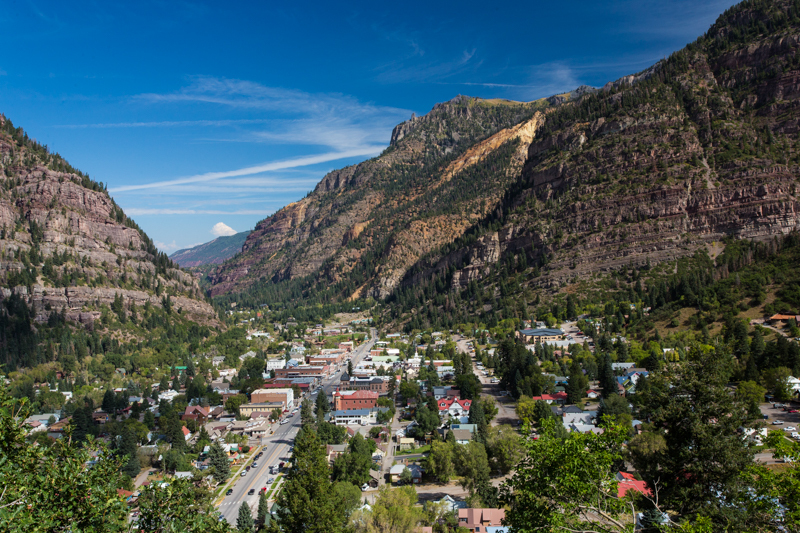 We loved our stay in Ouray and look forward to returning some time in the future. Well, it’s been 4 months since my last post. During those 4 months we parked the RV on our ridge lot at the Mountain Falls Luxury RV Resort in Lake Toxaway, NC. We visited as often as we could, but were pulled in many directions over the summer. We had Hot Air Ballooning events to participate in, a wedding in Poughkeepsie, New York to attend and we welcomed our newest grandchild into the world in Atlanta. We celebrated the Solar Eclipse with friends at our place in Hiawassee, GA. In between, we caught up with family and friends in and around Atlanta. In the end, we never stayed in one place for more than 7 nights. In fact, most of the time we spent only 2-3 nights at a location. While it was an exhausting summer, we enjoyed every minute of it. We recognize how truly blessed we are to be healthy and to have the means to travel. Now we are back on the road, and looking forward to staying in one residence for the next 6 weeks, with the exception of an overnight excursion here and there. We left Lake Toxaway, NC just before sunrise on Tuesday, September 5th. We drove just over 12 hours to St. Louis. We went through a couple of thunderstorms between Nashville and Knoxville. After that it was smooth cruising. We arrived at the Sundermeier RV Park in St. Charles early evening. We had a large pull-through site so we didn’t have to bother unhooking the car right away. Instead, we broke open a bottle of wine and heated up one of my favorite dinners; Aunt Lena’s Chicken. I cooked extra the last time I made it and froze some for our trip. In the morning we drove into St. Louis. We found the city to be eerily quiet. Literally, we only saw a handful of cars and people out and about. It seemed like a Sunday afternoon, but it was Wednesday. Granted, it was during Labor Day week so maybe many people were on holiday. 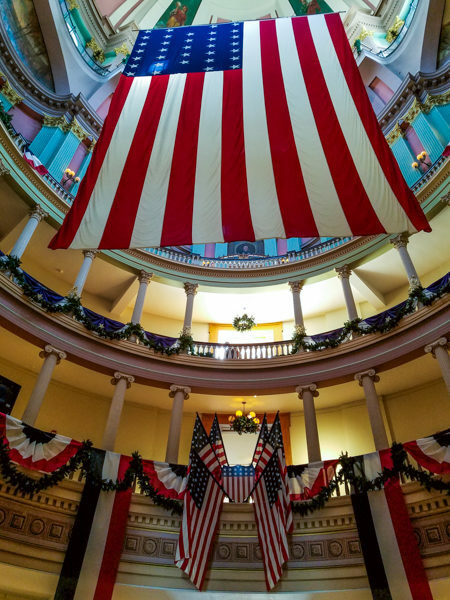 We toured the Old Courthouse, a Jefferson National Expansion Memorial. 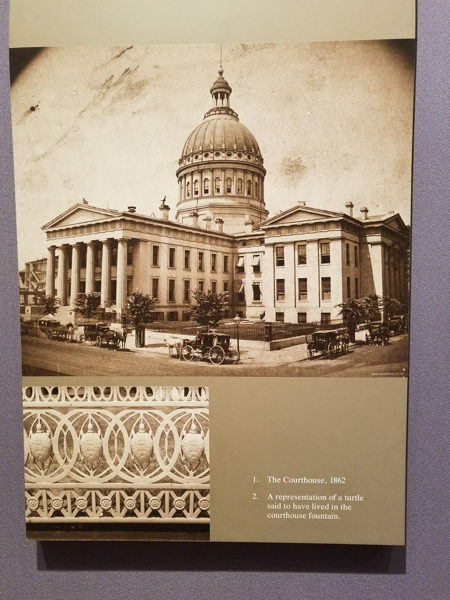 The courthouse was the site of the first two trials of the pivotal Dred Scott case in 1847 and 1850. Dred Scott and his wife Harriet were slaves who sued for their freedom. They were granted it in 1847. However, in 1850 the Supreme Court ruled that slaves were property, and as such, had no right to sue. The decision hastened the start of the Civil War. 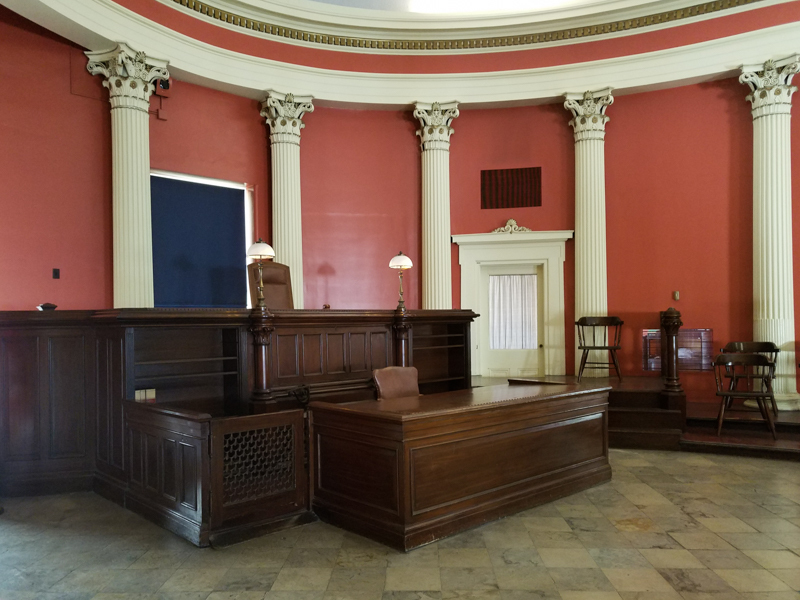 Virginia Minor’s case for a woman’s right to vote came to trial in this courthouse, in the 1870s, as well. The Old Courthouse is a beautiful piece of architecture. You are able to tour it on your own at no cost. We also took a tour of the Economy Museum, located in the lobby area of the Federal Reserve Bank. The museum is interactive and quite interesting, but a little boring for us. Following our museum tour we met up with a friend of Charlie’s, whom he had not seen for many years. 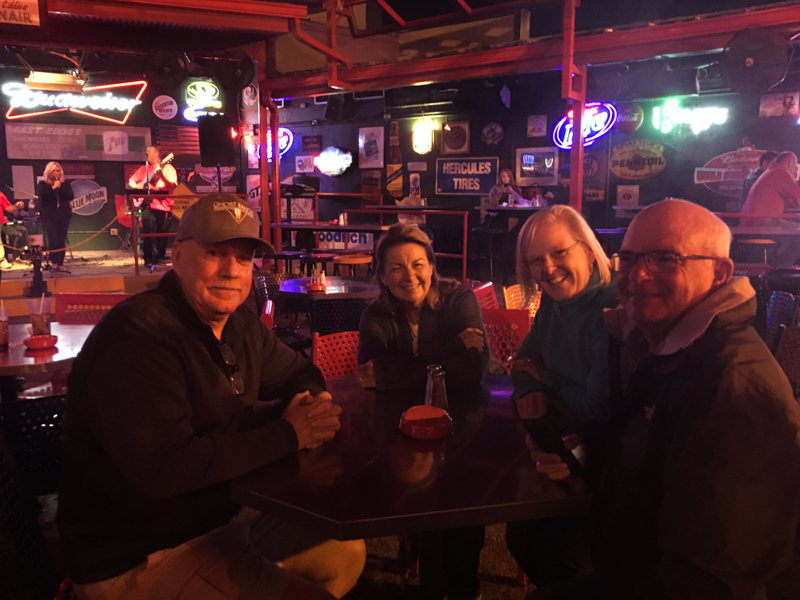 We enjoyed visiting with Diana over pizza at a local restaurant and then headed back to St. Charles. We took a walk through Historic St. Charles, a quaint neighborhood of shops and restaurants along cobble-stoned streets. With the weather in the low 70s, the walk was very pleasant. In the evening we met up with a couple, John and Debbie, whom we had previously met on a Viking River Cruise in Europe. We had a great evening with them, exploring areas we would not have otherwise seen. 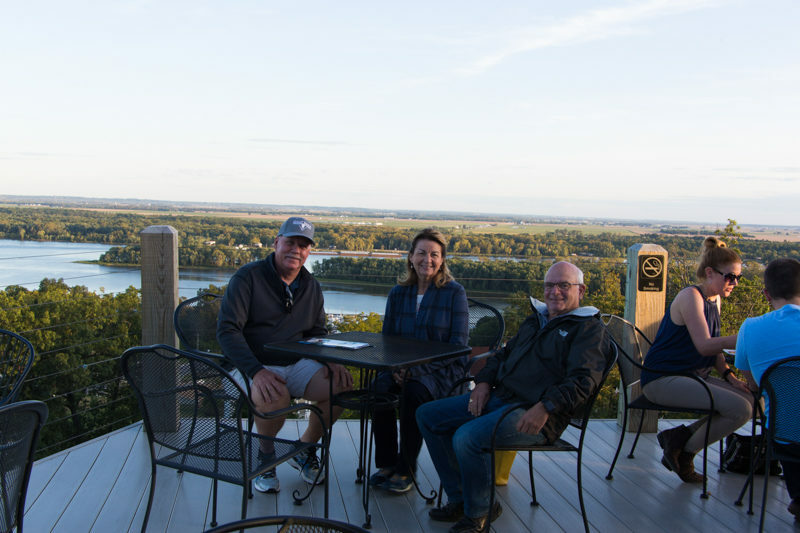 We traveled across the Mississippi river on the Golden Eagle Ferry and then across the Illinois River via the Brussels Ferry. 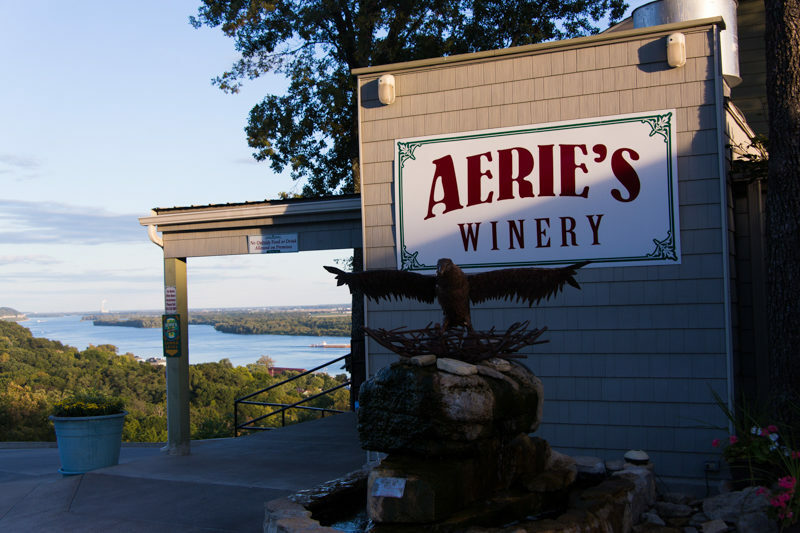 We ended up at Aerie’s Winery in Grafton, Illinois. We enjoyed a spectacular view from the balcony, while sipping wine and snacking on flatbread. Following sunset, we continued our journey along the river’s coastline. Our friends then decided that we needed to experience Fast Eddie’s Bon-Air in Alton, IL for a late dinner. The story behind this legendary place is interesting. In short, Anheuser-Busch opened this place as a drinking establishment in 1921 and called it Bon-Air. Ten years later it sold to the Balaco family and then in 1981 it sold to Eddie Sholar (alias Fast Eddie). Fast Eddie changed the place quickly. 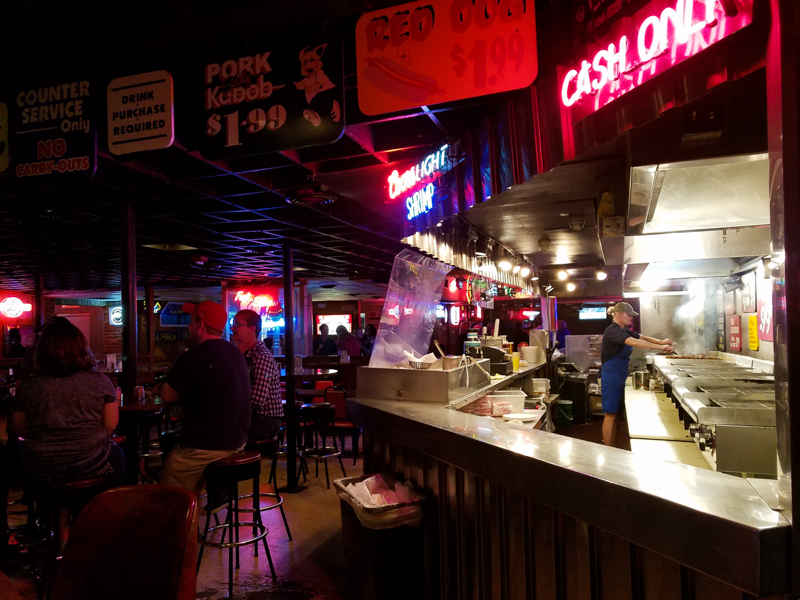 It quadrupled in size and became one of the most popular bars around. 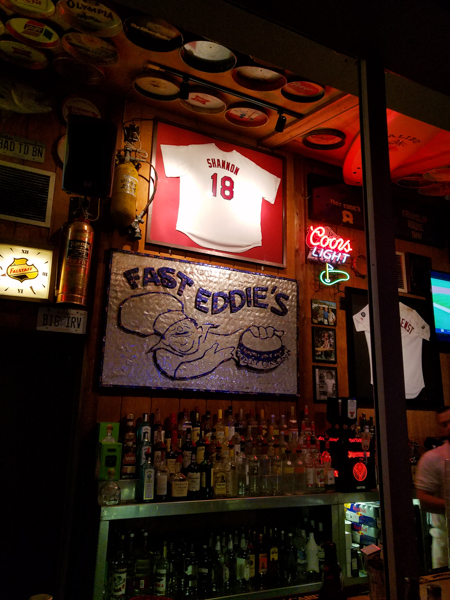 About 20 years ago Eddie added a food menu with basics such as burgers, hot dogs, shish-kabobs, brats and fries. Today, the prices of those food items remain the same as when they were added to the menu. Half pound burgers are $1.99, for example. We had a great time and loved sharing new river and dining adventures with John and Debbie. Today we are heading towards Colorado. More on that later…..